This story encompasses much of life in the south in the 1960’s. While there is some strife and conflict, most of the story is positive and upbeat which makes for an enjoyable read. Missing Isaac is billed as a coming of age story, which I do believe it is, not only for Pete but for his love interest, Dovey. The story follows Pete’s life from about 11 to 17 and how he reacts to the passing of his father; his friend Isaac that goes missing; and meeting the love of his life by chance while searching for his friend Isaac. For Dovey, it is finding love; singing in public (church) and realizing that perhaps there is more to life than what she experienced growing up on the Pickett’s farm. I found it interesting that since the book was set in the 1960’s and in the south, that there not much mentioned about segregation in the town of Glory. There is mention of visiting Tandy’s for ribs and Pete experiencing the blues for the first time, but any other mention was fleeting. The book is also billed as Christian and there are many hymn lyrics quoted and of course there are events held at the Baptist church. This seemed very appropriate because I associate Baptist and the South together. There are some gentle pokes at the Methodists during an event, but nothing out of line. In fact, most of it is treated as a joke from the pastor’s comments and it felt like it was in fun and not meant to be derogatory. In small towns you can expect most of the families to be related in one respect or another – if not by blood then by friendship which is as strong as a blood relationship, if not stronger. This is the sort of town I wouldn’t mind residing because people look out for each other and it isn’t because they feel obligated, but because it is taking care of family (blood or otherwise). Ned Ballard is a strong patriarch and his kindness shines throughout the book. This book also has a little bit of a mystery – what happened to Isaac? I won’t spoil it, but it is revealed what happened the night he went missing. And I was surprised, but not surprised at the turn of events and those involved. Seems like those that feel entitled do so no matter the decade. Overall we enjoyed the slower pace of this book, the love stories and the mystery and give it 4 paws up. I was so excited to start this debut novel from author Valerie Fraser Luesse. The first thing I usually notice about a book is its cover and I totally loved this one. Missing Isaac is a beautifully written story that takes place during the 1960’s in the small southern town of Glory, Alabama. The main character was Pete, an eleven year old boy who loses his father to an accident at the beginning of the book. Pete has an unlikely friend on the farm, a field hand named Isaac who works for his grandpa. Pete feels that his mom is so sad about the death of Pete’s dad that he doesn’t want to add to her sorrow by showing his. So Pete shares his feelings with Isaac about his father’s death. Then one day out of the blue, Isaac disappears. Pete is left now without his best friend and he is determined to find out what has happened to him. There were so many things that I loved about this novel. First the author is just flat out an AMAZING storyteller. The plot was original and flowed smoothly. The characters were believable and wonderfully developed. The dialogue and interaction between the characters was realistic and smooth flowing. Valerie Fraser Luesse’s descriptive prose brings Glory, Alabama and its inhabitants vibrantly to life. 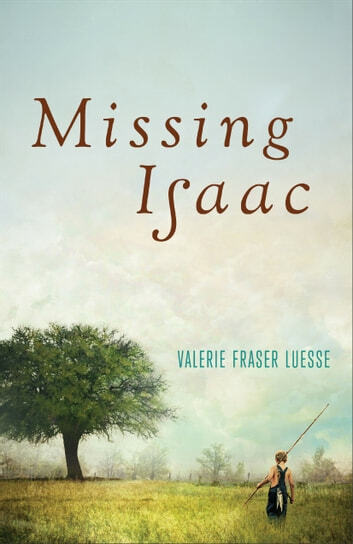 Missing Isaac is a story of class and race in the 1960’s South…a story of loss, unlikely friendships, and a boy’s determination to not give up on his friend…. I hope this is the beginning of a long writing career by this gifted storyteller. 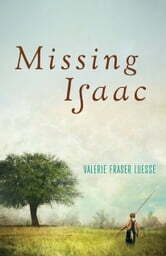 Four out of five stars for Missing Isaac!!! Thank you Valerie Fraser Luesse, Revell, and BookishFirst for providing me with a review copy of this book to read. The story was ok. Kinda predictable no big surprises.